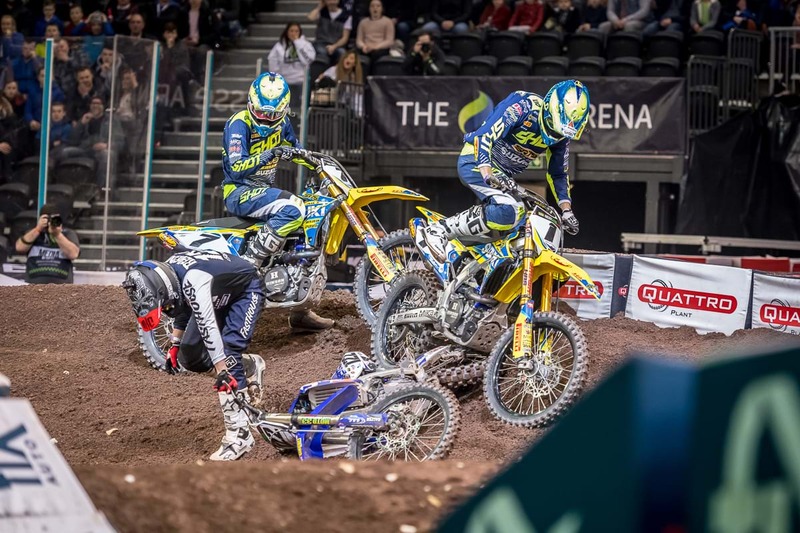 SR75 World Team Suzuki's Thomas Ramette was victorious in the second leg of Belfast's Arenacross double-header, and moved into second place in the championship standings, two points adrift of FRO System Suzuki's Cedric Soubeyras. 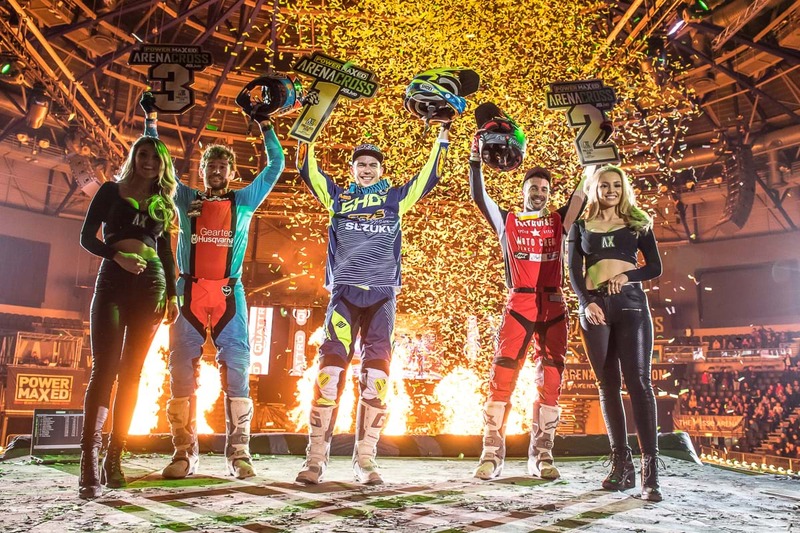 Three RM-Z450-mounted riders were on the overall podium over the two night's of racing, with Ramette picking up a main event win, while Cyrille Coulon and RFX Suzuki's Evgeny Bobryshev took top-three finishes. For SR75 World Team Suzuki's French duo, the weekend started as Birmingham finished, with Ramette and Coulon going 1-2 in both of their heat races on Friday night. Ramette further added to his championship points haul, finishing third in the Hot Lap, with Soubeyras second. Ramette and Coulon were back to running at the front as the gate dropped for the first of the weekend's two main events, and were looking comfortable at the front, before an overly ambitious move from a rival saw all three tangle. Ramette dropped to sixth, while Coulon was able to salvage a podium in third. Capitalising on the melee, Bobryshev took second. The second night of action saw Ramette again take the lead, determined to make up for the disappointment of Friday night, and race to two heat wins. He then set the second fastest lap in the Hot Lap to add more championship points to his season's tally. 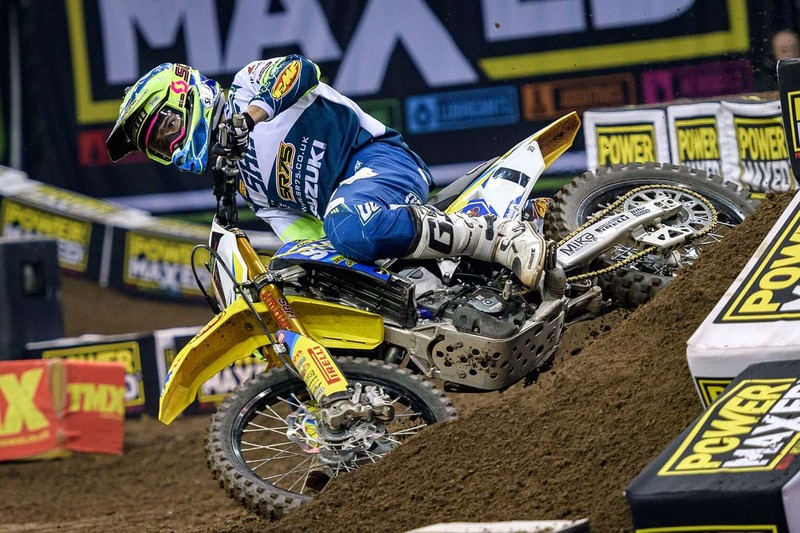 The three-time Arenacross champion went on to win the main event, his second overall win of the series so far, to close in on FRO Systems Suzuki's Soubeyras, who finished the night in fourth.